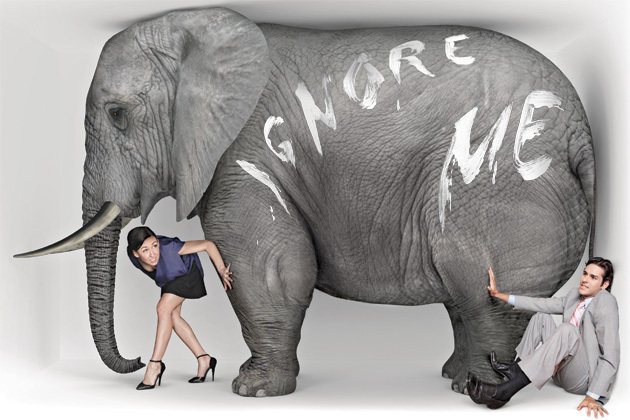 There’s an elephant in the room that no one wants to acknowledge. Well, maybe a little more than they used to, but it’s still a little taboo. And that is the issue of mental health. If you pay attention to the media, you may have come across the name Benga. Adegbenga Adejumi is his real name, but Benga is his stage name. He was part of helping to build the pioneering sound of Dubstep in the UK from around 2006 onwards. He was part of the super group Magnetic Man. And by 2008 he was virtually unstoppable on the dubstep scene with his name being everywhere and being one of the most in demand producers for other artists to work with. But for him, something wasn’t right. Benga was suffering with the beginnings of mental health problems. He has been one of the bravest musicians, certainly from the ‘dance’ scene to actually come out and speak about his issues and how they affected him. He told The Guardian newspaper “nobody wants to come clean, let alone an artist.” At the time Benga said on twitter that he had quit music to focus on his family, when in actuality after an event where he had become aggressive, he was arrested and sectioned under the mental health act. Something which he now acknowledges was actually a good thing for him. He was suffering with both Bipolar disorder which was apparently bought on by the use of drugs and with schizophrenia as a result of excessive touring. There will be a demographic of people out there who will have no sympathy for Benga when you read that some of his issues were caused by drug use. But I would pose the chicken and egg question, did he become involved with drugs to try and calm other issues that were already there, and the answer is almost certainly yes. Mark Ronson has also come out to discuss the fact he suffered with “crippling anxiety attacks” when he was younger which came back briefly during the height of his fame. Superstar DJ Sasha struggled to deal with his fame and the pressure on him to make music and when being interviewed by Muzik magazine, was last seen ‘half underneath his bed at the Soho Grand Hotel, waving a two-litre bottle of vodka in one hand and a bin in the other.’ Clearly not a run of the mill type of thing to do whilst being interviewed. It’s not just in the music world either. Stephen Fry is known to have battled Bipolar disorder for years, as is Caroline Aherne, who even went as far as electro-convulsive therapy for treatment in 2005. Both of them have also previously made attempts to take their own life. Probably the most famous media coverage in recent years of people dealing with a mental health issues were the coverage of Britney Spears ‘ breakdown which resulted in her shaving all of her hair off and the absolute tragedy of Robin Williams committing suicide. It is not possible to look at someone and say that because they are at a high point in their career, or that they are wealthy or because they seem happy that they are not dealing with a mental health condition. It simply does not work that way. With it being World Mental Health day on Saturday 10th October 2015, and having recently read the interview with Benga, I thought it was a good time to discuss mental health. The reason I started by covering ‘celebrities’ was more of an example to show that mental health issues can happen to absolutely anyone at any time. In fact the Office for National Statistics says that 1 in 4 adults experience at least one diagnosable mental health problem in any one year and it is estimated that 450 million people worldwide have a mental health condition. I’ll come clean at this point and say that this is an issue very close to my heart. I have also suffered with my mental health and certainly wouldn’t be where I am now without the support of family, friends and those who I spoke to about my issues. I think the worst thing about it is when you first start to suspect that you may be dealing with a problem. No one initially wants to admit it as you have the fear of being seen as weak or less of a person, or even worse, seen as weird or not ‘normal’ and alienated! None of these things are likely but at the point where you realise, chances are you won’t really be thinking properly. It can be a very lonely time. I’m not going to indulge here with a long history of personal events. I am not the only person who has dealt with this, I wasn’t the first and I won’t be the last and I certainly was not the most seriously affected by it, many people have suffered more extreme issues than mine. I will acknowledge that mine centre around the Anxiety group of issues. Social anxiety and being a perfectionist mixed with elements of low self-esteem make an interesting cocktail for a DJ. I didn’t really start to acknowledge it until hangovers became very emotionally raw. There was a cycle for a while last year that went drink a lot, wake up, feel ill, feel shame, feel paranoid, low mood, struggle to sleep, further low mood and finally anxiety which would last from the weekend until Wednesday and then back out next Friday or Saturday night (or both) then rinse and repeat. I was convinced on those hung-over mornings that people I had been around hated me and I that had shown myself up but it didn’t stop me getting out the next weekend and doing the same again. I can assure you, that isn’t the answer; I learned that after a spring and summer of doing it. I can only imagine how bad it must feel for those who decide to use illegal drugs as well as many clubbers do too. When I first started playing live again in recent years, it was a turbulent time for me. Wanting to please everyone and play the perfect tune for people at the right time was the dream but it is very challenging. Being around drunk people who become verbally abusive when you won’t play a One Direction song in the middle of a house set also didn’t agree with me, I was surprised how personally I took it. For a lot of people, they would just ignore it but due to the type of issues I was dealing with, that wasn’t possible for me even though I had tried. I’d spend the week in between obsessing over those one or two comments that would really cut me, and then I’d consider stopping DJing because I wasn’t enjoying it. Even though I am better than I was, even now I still consider stopping at times, as do a lot of DJ’s I’ve come to learn, for similar reasons. The most important thing people can do is talk about it. If you feel you have or you know someone who you think has a mental health issue, please talk. It may not be as simple as just saying that’s what you think it is and remember that these issues need to be handled with care. Especially if the person hasn’t realised that they may be dealing with an issue yet. But talking is the way to start discussion and that is what I hope to achieve with writing this. The time of the year is coming that may bring these issues further into focus. Shorter days, bad weather, the end of the summer party season and people going out less. This may be where people start taking downtime, possibly on their own, to start thinking about life. It’s certainly where it happened to me. In 2013, the winter was an awful time for me. I knew I wasn’t right but didn’t want to acknowledge it properly. I had a few false starts at trying to put it right but I started to realise during the spring and summer in 2014 that it hadn’t worked so by the time I came to autumn 2014, I stopped drinking for a month in October and decided to start dealing with it head on. When I did, I started to realise how long these issues were hanging around for in the background. Many of the roots went back as far as childhood bullying at school and got worse as more events unfolded during life that added to them. Everyone will have their own experiences, and they will all differ and the way they must be dealt with will also differ but interestingly, once you have begun to deal with your own situation, it is much easier to spot other people who are also suffering. I see it as the gift and the curse. You will have your own situation to deal with, but you can also help others so it doesn’t feel as bad for them. Often the first point of helping is just checking to see if someone is okay. So don’t be afraid to ask someone how they are, and actually want a response rather than just using “alright?” as a greeting. Below are a few tips that may help if you are having a few issues and even if you aren’t, they are great ways to maintain a good level of mental health regardless. Sleep – make sure you get enough sleep. They say if you have less than 6 hours sleep, it reduces your ability for rational thinking to 55%. Be careful not to hibernate though, sleeping lots because you don’t want to acknowledge a problem isn’t going to fix it unless your problem is exhaustion. Exercise – make sure you take regular exercise and this helps release chemicals in the brain that are good for making you feel happy. Be careful that you don’t switch to living at the gym to ignore your problems though. By spending all your time at the gym, you may lose weight and/or gain muscle and be more healthy but if you issue is for example, body dismorphia, no matter how much your body changes, you may never be happy with it unless you address the mental aspect of it. Talk – talking about your issues is one way of beginning to resolve them, be it talking to a friend or talking to a doctor about a course of treatment. Be careful that you talk to someone who will take the issue seriously. There is nothing worse than being told to “pull yourself together” or something of that nature. It’s like telling someone with a broken leg to “walk it off.” It only makes things worse. Diet – much like a car, if you fill yourself with the wrong fuel, you aren’t going to be running well for long. That’s not to say that you should eat all salad and food you don’t enjoy, but a sensible balanced diet should help you maintain a healthy lifestyle. Relax – take time for yourself, allow yourself to feel the days where low mood occurs and acknowledge that later on, or tomorrow morning will be better, don’t beat yourself up. Be Patient – with both yourself and others. Often the underlying cause of the issue may have built up over a number of years and to assume you can acknowledge them and deal with them in the space of one day might be setting yourself up for a fail. Acknowledge that you have started on your journey to feeling better. It’s very important to remain patient if you are supporting someone through their issues. Just make sure they are making positive steps forward over time, if they aren’t and are just talking to you about a problem but not making steps forwards, they could be very much in the next point of negativity. Negativity – try and stay positive. Don’t surround yourself with a lot of conflict or turbulent people. Also be careful of people who are always negative. It’s not good for them or you. The term ‘misery loves company’ applies here. Be around a very negative person a lot, and you will also likely become very negative. Also be careful of social media. Avoid trolls and groups with extreme opinions that exist to provoke reaction. Don’t be drawn into their negativity and block them if need be. If you have friends that are very negative on Facebook and you are growing tired of it or it is making you negative, un-follow them. It’s not the same of unfriending them and it’s really not offensive as they won’t know. You could also reach out to them via a private message to see if they are okay. And finally excess – be careful of your excesses whatever they may be. I don’t want to sound like your mum but excessive consumption is not good for you regardless of what your vice is. Be it fatty food, exercise, cigarettes, drink or drugs; please consider your actions before you make the decision. Ahead of ADE, the Dutch Health Institute Trimbos are warning of super strong ecstasy pills branded with the festival’s logo are circulating and some contain up to 300mg of MDMA (a massive dose) which could cause seizures and a number of other side effects. There have also been reports of a dangerous batch of amphetamine circulating in the north of England that make people erratic and violent and cause a dangerously high heart rate. Neither of these are good for anyone, let alone people who may be suffering from a mental health condition, so be careful out there as you take to the autumn clubbing season especially if you choose to take drugs. Below are a few links to The Mental Health Foundation (Global – Organisers of World Mental Health Day), Mind and Sane (UK) and the Dutch Association of Mental Health and Addiction Care (NL) all of who have a great online presence and lots of further information should you wish to learn more or if you are concerned about yourself or a loved one. As always at Dirty Disco Radio, we’d love to know your thoughts on this issue, so please feel free to leave comments below. Filter House. L’Tric is…. They aren’t French!